The 2018 4th International Conference on Energy Equipment Science and Engineering (ICEESE 2018) is the main annual research conference aims to bring together researchers around the world to exchange research results and address open issues in all aspects of energy equipment science and engineering. 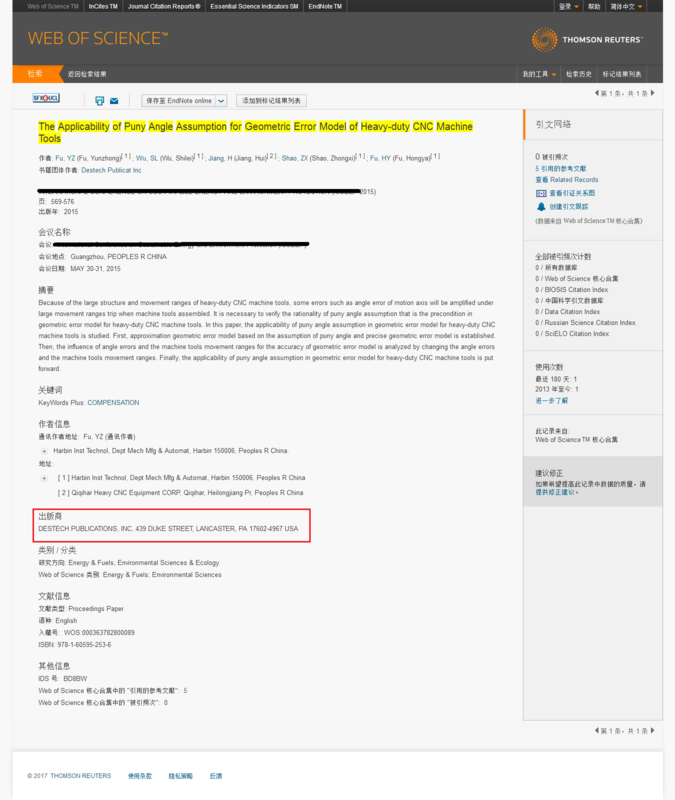 After the very successful previous issues ICEESE 2015 (Guangzhou, China),ICEESE 2016 (Guangzhou, China),ICEESE 2017 (Beijing, China).The current ICEESE2018 (2018 4th International Conference on Energy Equipment Science and Engineering) will be held in Xi'an,China during December 28-30,2018.ICEESE2018 is Co-hosted by Chang'an University School of Automobile and AEIC Academic Exchange Information Centre.（长安大学汽车学院和AEIC学术交流资讯中心联合主办） The idea of the conference is for the scientists, scholars, engineers and students from the Universities all around the world and the industry to present ongoing research activities, and hence to foster research relations between the Universities and the industry. 1. All accepted full papers will be published in IOP Conference Series: Earth and Environmental Science (EES) (Online ISSN: 1755-1315 Print ISSN: 1755-1307) and will be submitted to EI Compendex, Scopus and CPCI for indexing. *All SCI papers submissions must not be less than 10 pages in length，and papers should be submitted to ICEESE2018@163.com, and noted SCI. Please submit your paper and ICEESE-Paper_submission_form_EN.xls to ICEESE2018@163.com (word and pdf). Nov. 26, 2018 News! Welcome PhD.Lyazid Bouhala from Materials Research and Technology Department of Luxembourg to be Committee member! Nov. 23, 2018 News! Welcome Dr. Shahin Khoddam from Institute for Frontier Materials of Australia to be Committee member! Nov. 02, 2018 News! Welcome Prof.Ravishankar Sathyamurthy Hindustan Institute of Technology and Scienc，India to be Committee member! Sep. 11, 2018 News! Welcome Prof.Chen Hao from Chang’an university,China to be Committee member! Sep. 07, 2018 News! Welcome Eng.Fahao Yu from Tianjin Branch, CNOOC China Co., Ltd,China to be Committee member! Sep. 05, 2018 News! Welcome A.Prof.Xin CUI From Xi'an Jiaotong University,China to be Committee member!